Berthella sideralis, a rarity finally documented alive and barcoded! 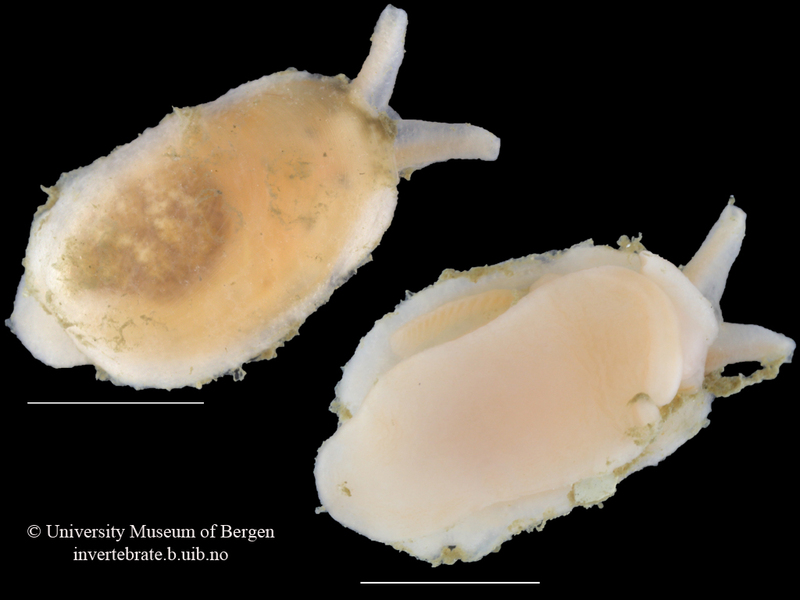 The Pleurobranchidae sea slug species Berthella sideralis was described by the Swedish malacologist Sven Ludvig Lovén in 1846 based on specimens collect at Bohuslän, in southern Sweden not far from the city of Gothenburg. This species has hardly been mentioned in the literature after its original description, and no images of life species are to our best knowledge available in books, research papers or even web platforms – until now! A synthesis of the morphological features of B. sideralis can be found in Cervera et al. (2010) who studied in detail two specimens collected during 1930’s in Trondheimfjord as part of a phylogenetic study of the genus Berthella. Recently, in late November 2015 during a Museum scientific cruise – there is a blog post about this day of field work here – we collected one specimen in Hjeltefjorden (around Bergen) at 220 meters depth using an RP-sledge. This specimen is here documented and was recently genetically barcoded as part of our effort to barcode the Norwegian marine fauna through the NorBOL project. Berthella sideralis is only known from Sweden and Norway. In Norway it has been reported between Bergen and Finnmark. Reference: Cervera, J L., Gosliner, T. M., García-Gómez, J. C., & Ortea, J. A. 2010. A new species of Berthella Blainville, 1824 (Opisthobranchia, Notaspidea) from the Canary Island (Eastern Atlantic Ocean), with a re-examination of the phylogenetic relationships of the Notaspidea. Journal of Molluscan Studies, 66: 301–311. This entry was posted in Current projects, Field work, NorBOL, Photography and tagged barcoding, Berthella sideralis, bold, live, marine invertebrates, Mollusca, NorBOL, photograph on January 29, 2016 by katrine. Amphipoda is an order of mainly small crustaceans living in the ocean, in lakes and rivers, in caves and in moist soil. They can be found worldwide, and the last count in the marine speciesdatabase WoRMS gives about 9 800 valid species. 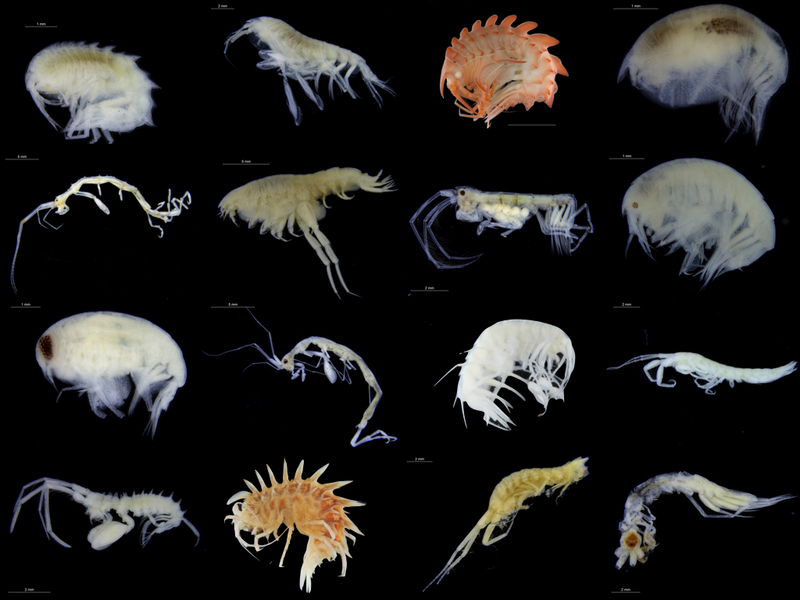 Most of the amphipod species are marine, with again most species connected to the sea-floor (benthic) – even if one of the suborders entirely lives in the watercolumn (pelagic). The Norwegian Species-name List includes 561 amphipods in Norway, and the most recent listing of amphipods in the North-East Atlantic includes 850 species (Vader, 2007). How many amphipod species that do live in Norwegian waters is probably somewhere between these two numbers. The Norwegian Species Initiative funded project “Norwegian Marine Amphipoda” (NorAmph) starting these days at the Universitymuseum has as one of its objectives to produce a better overview of what species are present in Norwegian marine waters. Utilising material from large projects such as MAREANO and GeoBio, from field-cruises with UNIS and not least the wonderful wealth of the Natural History Collections of the Universitymuseum of Bergen we hope to be able to give an answer to the question. When a new species of any animal is described, it is mostly done on the basis of its morphology (how it looks). Lately we also add information about a small and species-specific part of the DNA, but for most species this is informations we don´t have yet. The project Barcode of Life aims to map this small part of every species´ DNA as a tool for later identification – like the barcodes that are used in shops. Norway is participating in this project through the national node NorBOL – and another of the objectives of the NorAmph project is to try to DNA-barcode as many of the norwegian marine amphipod-species as possible. You can read more about the NorBOL work at our invertebrate lab here at her museum here. One very important part of the NorAmph project is to present the amphipods to all you not working on this fascinating group. Maybe you played with sandhoppers during a beach-holiday, or hunted for sideswimmers under the cobbles on a rocky shore? You might even have been flyfishing with a “Gammarus”-fly? Follow our “TangloppeTorsdag” (in Norwegian) or ThursdayAmphipod (in English) tag. Everything we post under this project will be collected under the category “NorAmph”. This entry was posted in Crustacea, Current projects, NorAmph and tagged Amphipoda, artsprosjekt, NorBOL, ThursdayAmphipod on January 14, 2016 by pans.